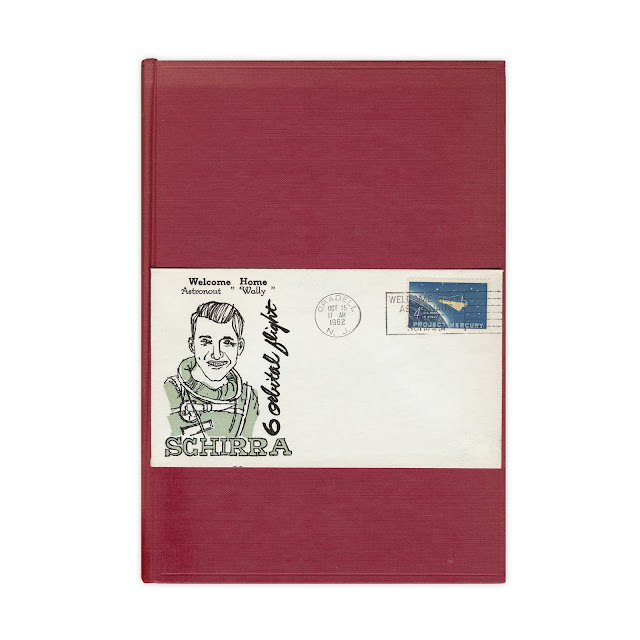 First day postal cover featuring astronaut Wally Schirra of Project Mercury. Found in "The Use of Artificial Satellites for Geodesy" edited by G. Veis. Published by North-Holland Publishing, 1963.